This outdoor sofa, showcasing a minimalist suave design and a strong heat and water resistant build, reeks of comfort and class. Crafted delicately using synthetic rattan with sunbrella fabric and featuring a classy aluminium frame, it provides the seating space a sensuous style. Ideal for the scenography of contemporary living space, this outdoor sofa is fabulously designed for infinite outdoor enjoyment. 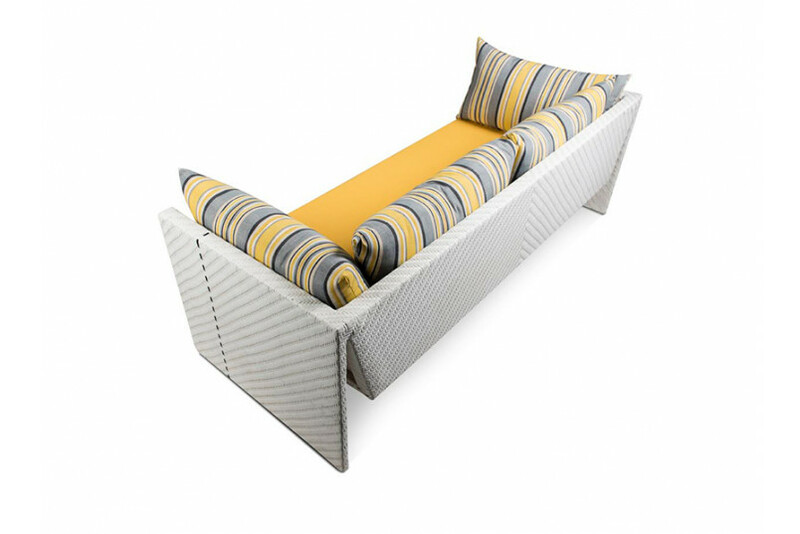 Beautifully finished with synthetic rattan and sunbrella fabric, this couch is water as well as heat resistant, emancipating a natural elegance. 3 seater : 79"x32" Ht. 25"
1 seater : 44"x32" Ht. 25"
Center table- 44"x24" Ht. 17"